Earlier today saw an announcement form Celes Gym regarding the first defence of OPBF Bantamweight champion Ryosuke Iwasa (16-1, 10), pictured. 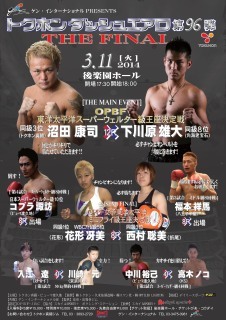 Iwasa, who defeated Hiroki Shiino for the title in December, will be battling against #1 ranked OPBF challenger Richard Pumicpic (14-5-2, 4) of the Philippines. Although Pumicpic doesn't have the greatest of records he has proven to be a very good fighter and is currently ona 6 fight unbeaten run. That run of 6 fights has included a draw with the highly regarded Yohei Tobe and notable victories over Ratchasak Kkg, Junior Bajawa and Richard Betos. Whilst Pumicpic is unbeaten in 6, and is much better than his record indicates, he'll still find the challenge of fighting Iwasa, who is top 15-ranked by the WBC, IBF and WBO, to be an incredibly tough one, arguably the toughest of his career so far. Iwasa, whose sole defeat came to Shinsuke Yamanaka, is a man who seems set to become a world champion sooner rather than later and he'll view Pumicpic as just the next step to his world title fight. The bout, set to take place on March 25th was announced alongside the debut of former amateur stand out Koki Koshikawa (0-0). The 23 year old Koshikawa will make his debut by facing off against Japanese based Ghanaian Quaye Peter (5-3-1, 3) in a bout scheduled for 6 rounds. The talented Koshikawa is tipped as one to watch and we'll be keeping a close eye on him. 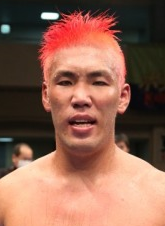 A third bout on the same card will feature Shinya Nemoto (3-3-1, 1), though he has not yet had his opponent announced. It was recently announced that unbeaten Filipino pair Genesis Servania (23-0, 9) and Arthur Villanueva (24-0, 14) will both return on to action on March 1st on one of the next big ALA show's. As well as the announcement that both of these world ranked fighters would be in action we also learned of their opponents. Servania, ranked #3 by the WBO at Super Bantamweight, will be fighting against former WBA Bantamweight world champion Alexander Munoz (36-5, 28). Munoz, a hard hitting Venezuelan, is well known to Asian fans, especially the Japanese, having beaten the likes of Celes Kobayashi, Eiji Kojima, Hidenobu Honda and Nobuo Nashiro whilst also dropping a decision to Koki Kameda. Aged 34 Munoz is a shadow of the fighter he once was though he still has his trademark power and will be looking to land his explosive shots on Servania who was, of course, in real danger of losing his unbeaten record when he took on Konsuko Komiyama in a memorable clash last year. For Villanueva, who is ranked in the top 15 at Super Flyweight by all 4 bodies, things look even more interesting as he takes fights Juan Hernandez (23-3, 16) of Mexico. Hernandez, best known for losing to Kazuto Ioka and taking a controversial victory over Denver Cuello, will be moving up from Flyweight to Super Flyweight for this bout oddly however he is ranked by 3 of the organisations at Light Flyweight. Aged 26 and in his prime Hernandez will be looking to score a major victory on the road. He has never claimed a win outside of Mexico but will very much be a dangerous foe for Villanueva, pictured. Although we're awaiting more details on this card we do have to admit that it looks like it has two great matches on it already. In the US Freddie Roach has recently been awarded the "Eddie Futch" award as the best trainer in the eyes of the BWAA (Boxing Writers Association of America). In Japan we saw a similar award, the "Eddie Townsend" award, given to the excellent Hiroaki Nakade for his work in 2013. Nakade, best known for his long and fruitful guidance of Katsunari Takayama, was a worthy winner given the way that Takayama's career really was revived in 2013 after a string of bad results and even the contemplation of retirement. 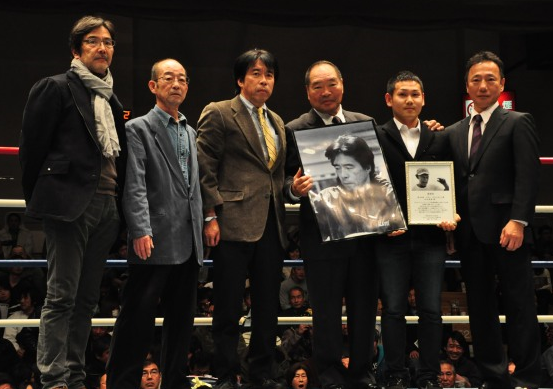 Much like Roach, Nakade has become synonymous with his most notable fighter. For Nakade that is Takayama, for Roach it's Manny Pacquiao, and maybe the biggest lesson here is that fighters who trust their trainer and stick with them get to the top no matter how hard the journey there is. For those unaware about the Eddie Townsend award, it's been an annual award given to the best trainer in Japan since 1990 in memory of Townsend. Townsend was born in 1914 and was half American and half Japanese trainer who created numerous champions. He is best known for being the man who guided 6 men to world titles, including Takeshi Fuji, Hiroyuki Ebihara, Guts Ishimatsu and Hiroki Ioka, who himself won the "Eddie Townsend" award in 2012. Unfortunately Townsend died in 1988 though thankfully his name lives on courtesy of this award. A few days ago we reported that JBC (Japanese Boxing Commision) refused to allow Nobuhiro Ishida (25-9-2, 10) a chance t fight for the Japanese Heavyweight title. Ishida, a former Japanese Light Middleweight champion, was told to fight in a non-title bout to get the opportunity to earn a ranking and from there he could have gotten a title fight. Ishida appears to have decided that he doesn't care about the title but instead just wants to prove himself against the best in the best in the country. Instead of fighting in a 6 rounder, as advised by he JBC, instead it seems like Ishida will fight against the Japanese champion Kyotaro Fujimoto (8-1, 5), pictured, in a non-title bout. In effect this is the same bout we expected to see, and it will be scheduled for 10 rounds as title fight would have been, the only difference is the lack of a physical belt for the winner. Unfortunately for the JBC this will leave them with egg on their face if Ishida can upset the champion having been told he's not good enough for a title fight at the weight. We're expecting this bout on April 30th, the date that was penciled in for the fight anyway. What is interest is that the news from Kadoebihoseki is that Ishida has been encouraged to try for a ranking again next month so that the title can be on the line. Suspicion is that the announcement earlier today was done in part to force the JBC into giving Ishida a ranking with the men effectively saying "we're doing this anyway, you might as well give us your blessing". It does seem likely that Ishida will take part in another sparring session which if the JBC want to watch and assess Ishida on then the fighter probably won't be too unhappy about. As well as this announcement we had another one about the card. This time it was a title fight that was announced as Yoshitaka Kato (26-5-1, 7) will bedefending his Japanese Lightweight title against the big hitting Yuhei Suzuki (14-3, 11). Although Kato lost last time out to Masayoshi Nakatani, it was only Kato's OPBF title on the line and as a result he has managed to keep his hands on the Japanese belt which he will be defending for the 6th time. Suzuki, who lost in his only prior title fight to Kato, will be hoping to avenge a close decision loss from early last year. Whilst the obvious story is the Fujimoto/Ishida non-title bout we're actually really looking forward to the Lightweight title bout which promises to be incredibly hard for both men.